Bitcoin has been in the HEXUS headlines quite a few times over recent months. Perhaps the most eye opening news has been in the currency’s meteoric rise in value (at the time of writing one BTC is worth US$7,211) and its greater adoption for commerce, but there’s been bad news too - mainly concerning the hacking of Bitcoin exchanges. 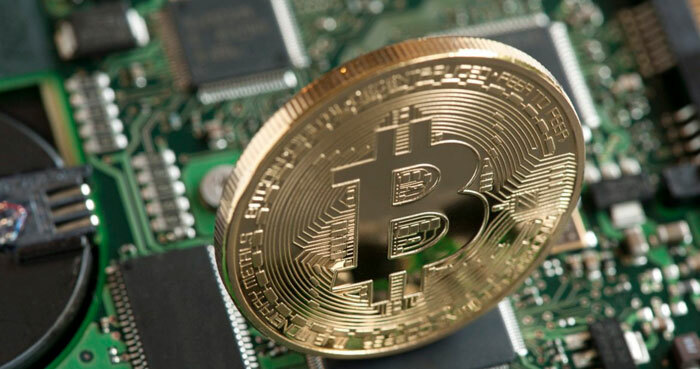 A critical feature of Bitcoin is its security, reports the MIT Technology Review. Cryptographic protocols mean that Bitcoins are very hard to copy or steal. What if that security wasn’t so impervious anymore? The development of quantum computers might be a factor that brings Bitcoin crashing down think some. A group of researchers lead by Divesh Aggarwal at the National University of Singapore have been looking at the threat to Bitcoin that could come from quantum computers. Looking at the projected speeds and computational power of quantum computers the team reckon ASICs will probably maintain the competitive mining edge for the next 10 years or so. 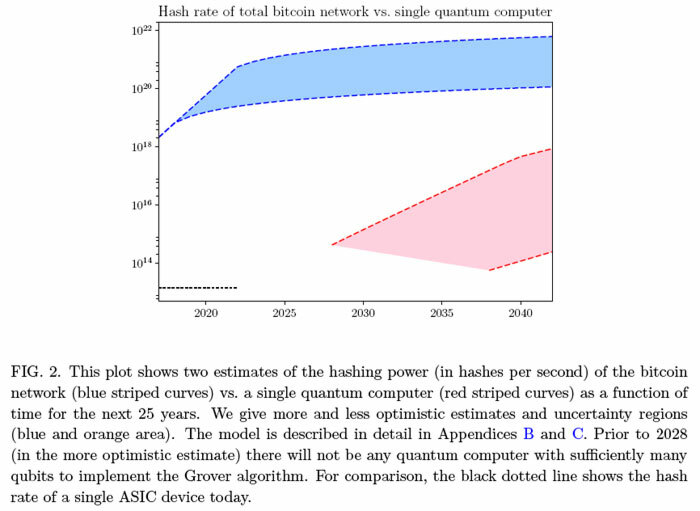 A statement from the researchers on this topic read as follows: “We find that the proof-of-work used by Bitcoin is relatively resistant to substantial speedup by quantum computers in the next 10 years, mainly because specialized ASIC miners are extremely fast compared to the estimated clock speed of near-term quantum computers”. Further to the outpacing threat to ASICs, there is another problem on the horizon due to the ascent of quantum computing. The elliptic curve signature scheme is vulnerable to being cracked by quantum computers. Cheating the system, to calculate the private key using the public key, leveraging a quantum computer, “is easy” say the researchers. “The elliptic curve signature scheme used by Bitcoin is much more at risk, and could be completely broken by a quantum computer as early as 2027,” says Aggarwal. With this in mind the Bitcoin protocols should probably be changed to use a public-key scheme that is resistant to attack by quantum computers in the next few years. As part of their research, the scientists looked at the strengths and weaknesses of alternative schemes that could be used to secure this cryptocurrency. To read in depth about Quantum Attacks On Bitcoin, And How To Protect Against Them, you can head on over to the Cornel University Library site and grab the PDF. Proust (a man who liked to play with tenses in sentences himself) would never have written that. Maybe he didn't pay his proof-readers in dodgy dogecoin? I don't believe it for a second, of course, but I like to think it anyway. I imagine they're really just peering out through the opaque fishbowl gloom, hoping against hope that there are real readers out there… somewhere beyond the glass, cheering them on. Considering I'm stuck at home hugging a hot-water-bottle convalescing from falling 9 feet through an asbestos roof and bouncing off a fork-lift to tumble another 4 feet onto cobblestones… rumours of my intelligence have been greatly exaggerated. So, more of a Stewie Grffin thing, if you know what I mean. How far off topic do we have to get before we (lacking a quantum computer) can break a blockchain through sheer force of will? These boffins and their predictions always underestimate the power of the common-man's bad luck.